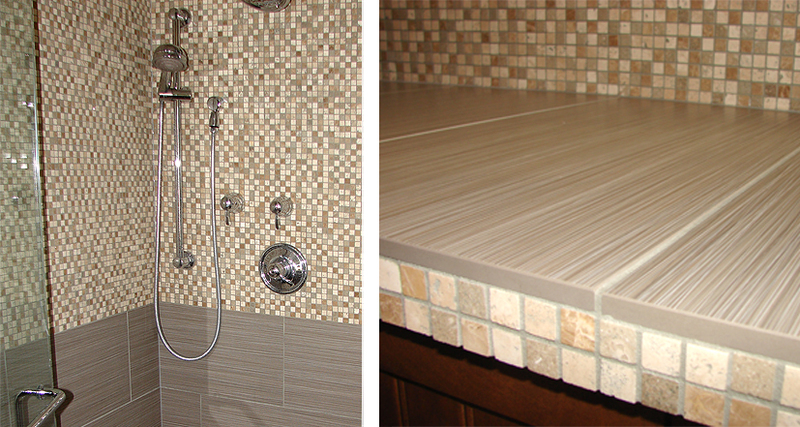 Tyler Matychuk was the tile settler of this project in Edmonton. Mixing Tuscany Stone vein cut, Marble Blends, Bamboo Series, Heirloom Glass and Metro Series, Tyler displays innovation and a great deal of creativity. For more information on the project, contact Tyler Matychuk at tymatychuk@shaw.ca.